GWERU Provincial Hospital got a mere $3, 000 from the $460, 000 allocated to the province by the ministry of finance, a cabinet minister has revealed. Health and Child Care minister, David Parirenyatwa, said the late disbursement of funds to the health institution was affecting its operations. 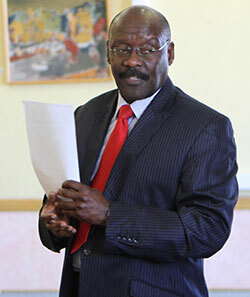 “Gweru Hospital got $3, 000 out of the $460, 000 allocated to the province and this unacceptable,”Parirenyatwa said during a tour of the hospital last week. Over the years, government has been accused of failing to prioritise vital sectors such as health and education in the national budget. In this year’s budget, Finance minister, Patrick Chinamasa, allocated $396 million to home Affairs and $357million to defence while Health got $330 million.